Now is the time to hop on the empowerment economy train. This seems to be the message of modern retail. The retail industry has been transforming itself for decades at a more rapid pace than some retailers anticipated. With the advent of Amazon, smartphones, social media, and voice-activated devices, many retailers have failed to adjust their business models and fell prey to bankruptcies. As shoppers have quickly moved from passive to active participants in their shopping experiences, retailers like Nordstrom and Ulta Beauty are learning to blend online and in-store experiences with much success. It all comes down to experience — that of the customer and not the company. To provide shoppers with the best shopping experience, retailers must respond swiftly to customers’ desires, or more accurately, demands. Because shoppers make no distinction between online and in-store shopping, the retailer must also design shopping experiences as seamless, without boundaries, and meaningful. Through the lens of empowered customer experiences and a 360-degree view, retailers must provide shoppers with personalized offers, actionable recommendations, and relevant engagements. 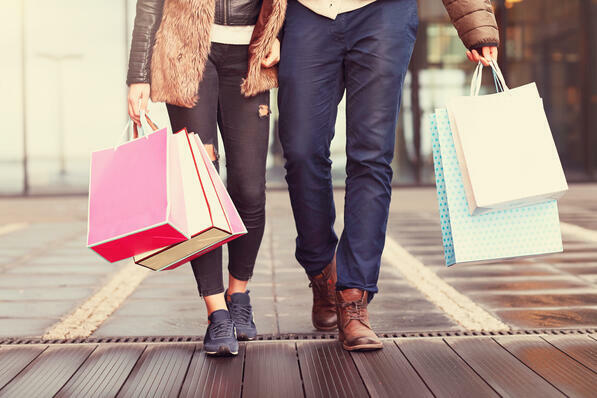 Retailers who fail to engage customers at every possible turn, on every possible channel, may end up a statistic of what has been rather than a retail success story. Loyalty will become the new goal rather than repeat business and retailers will be able to continue to develop customer experiences around changing customer behavior and expectations. Read more here.